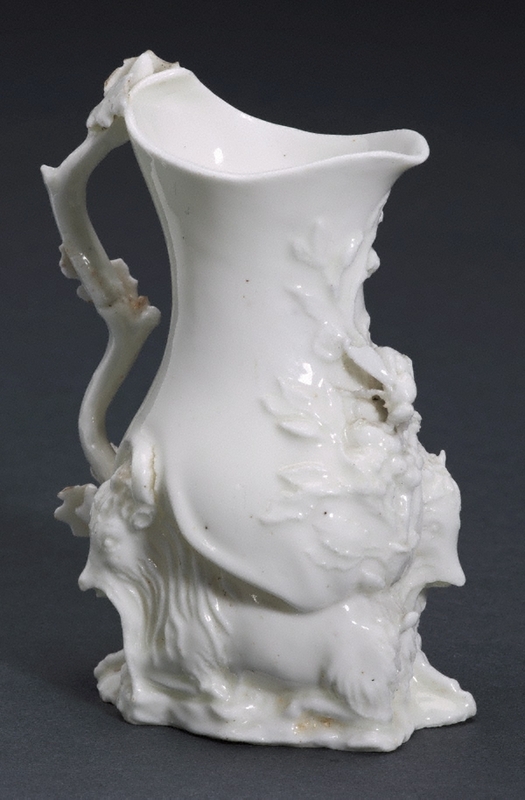 Jugs of this design, incorporating two seated goats and a bee, are among the earliest products of the Chelsea factory. An example in the British Museum is dated 1745. The design is probably based on a silver prototype though no genuine example in silver is known.